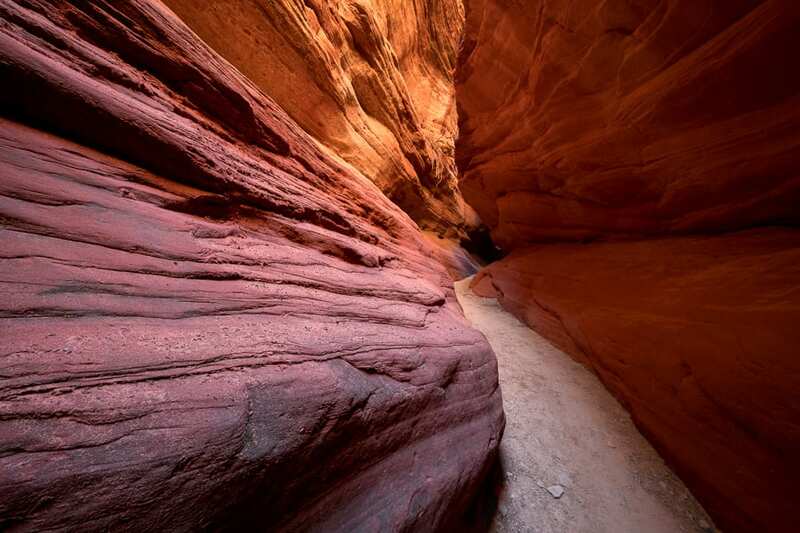 Our half-day Slot Canyon Photo Tour is perfect for those who want a shorter trip but with amazing photo opportunities. 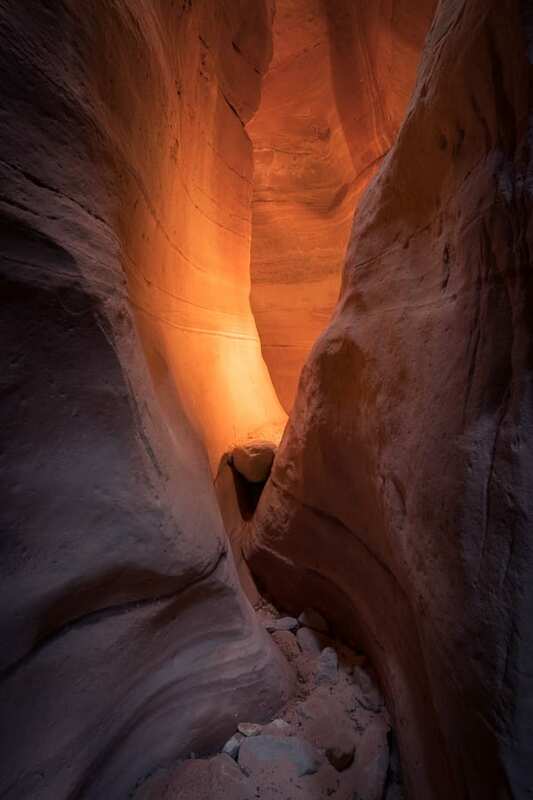 Visit a beautiful sandstone slot canyon, layered with the mystical glow of reflected light. Photographers love this canyon since it has similarities to Antelope Canyon but without the crowds. You won't be rushed to take your photos! This trip is physically easy since we drive right to the mouth of the canyon and walk over mostly flat ground. 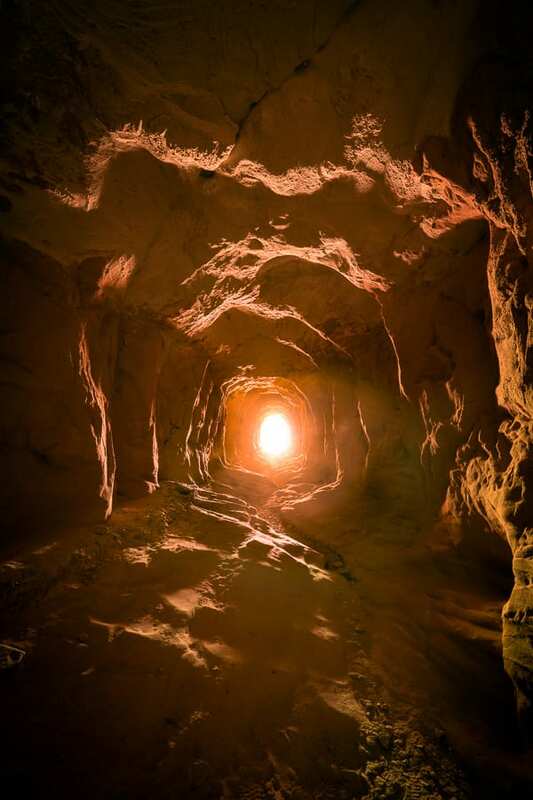 Depending on time, we may be able to visit some Native American Ruins, caves, and more. Drive Time: A little over 30 min each way with about 20 min on rough 4WD roads. Tour Departure Time: This trip leaves Kanab at 8AM and returns around noon. Please arrive around 10 mins early to load your gear and finish the check-in process. Note that we operate on Utah time which is one hour ahead of Las Vegas. During the months of Daylight Savings (approx mid-March through early Nov), Utah is also one hour ahead of Arizona. Please take this into consideration if traveling from out of state. Tour Pricing: Please click on the Book Your Tour button for the latest pricing. Note that most of our tours require a 2-person minimum. Single individuals can always go, but may need to pay the 2-person rate if nobody else decides to join. Tour Meetup Location: Please come to our place of business at 451 W. Johnson Dr in Kanab, UT. Here is the Google Maps Link: https://goo.gl/UpMVvu. This is a safe place to park your vehicle. If you like, you can leave any valuables inside the house. Once you arrive, we’ll ask you to load your gear and sign a liability release waiver. If you haven’t yet paid in full, we’ll take the remaining payment via cash or credit card. Contact us if you are unable to get to the meet-up spot and we’ll make alternate arrangements. Las Vegas is the closest major airport to Kanab. There is no public transportation to Kanab, so you’ll need your own rental car or private vehicle. Permits: We hold commercial use permits for the places we visit from the Kanab Field Office. Group Size: Our groups will never exceed 5 people per guide. We like to keep our tours small so we can give adequate individual attention. Weather Conditions: We can almost always get to these locations despite what the weather throws at us. If the weather is truly inclement, your tour guide may suggest you visit an alternate destination. This decision will be made the day of the outing based on the consensus of the group. If rain is in the forecast, we cannot visit the slot canyon due to flash flood risk. Note that we cannot offer refunds due to weather unless we cannot go out at all. Don’t despise inclement weather – that is often when you get the most dramatic photos! Just make sure you dress and prepare adequately. Hiking / Fitness: We’ll only do short and easy hikes on this trip. Total mileage won’t exceed 1-2 miles. Some mild rock scrambling may be required halfway through the canyon, but our guides will help you negotiate it safely. Food/Water: We do not provide food on our outings. All participants should bring food/water to hold them through while hiking. We will have a cooler where you can store food and drink. What to Wear: You should check the weather forecast prior to coming on the trip (search for Kanab, UT on Weather.com). If it’s going to be hot, wear light-colored clothing and a hat. If the temperatures are cold, bring some warm layers and long pants. Don’t forget sunglasses and sunscreen. If it’s very cold and or windy, don’t forget a jacket, warm hat and some gloves. If rain or snow is in the forecast, bring a rain jacket. We recommend wearing sturdy footwear due to the uneven terrain and sand. Restroom Facilities: There are limited facilities where we will visit. If you need to use the restroom in the backcountry, we will have toilet paper, hand sanitizer, and a shovel available. You can dig a hole back behind a bush to do your business. 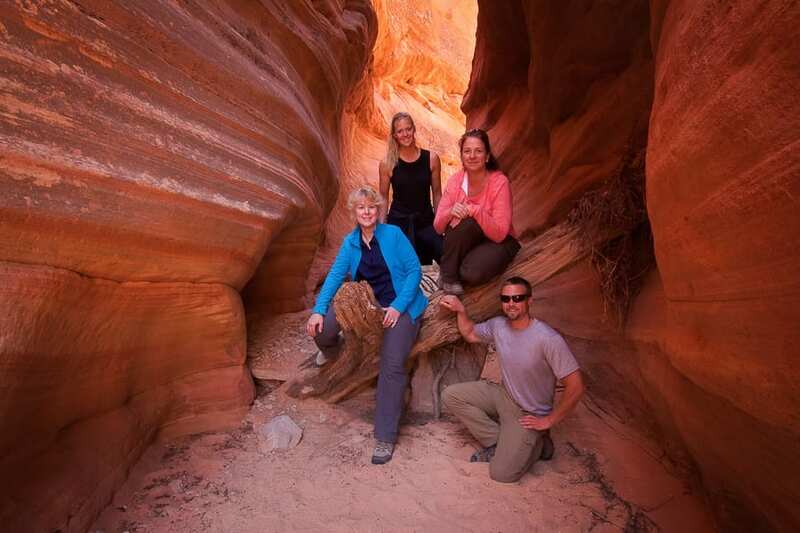 Full-Day Option: If you want a more adventurous outing, consider our Full Day Slot Canyon Tour. Camera Gear: A wide angle zoom lens is the most useful on this trip (equivalent 16-35 on a full-frame camera or 10-22mm on a crop sensor). A mid-range lens can also come in handy (24-70 on full frame or 18-55 on crop sensor). You won't need a polarizer for this canyon. All photographers should bring a tripod. Don’t forget extra batteries, memory cards, and cleaning supplies.